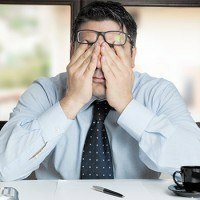 Thought to affect upwards of 2.5 million Americans, Chronic Fatigue Syndrome (CFS) leaves those affected unable to go to work, school or even leave their bed in some cases. Recently the name has been changed because Chronic Fatigue Syndrome is thought to trivialize the condition. Now known as Systemic Exertion Intolerance Disease (SEID). With the new name, comes a new definition of the disease. This new definition of the disease is much simpler than the ones previously used for Chronic Fatigue Syndrome. Allowing doctors to make a diagnosis much quicker, abolishing the need to run extensive and expensive tests to rule out other potential causes for the patients symptoms. The report also showed that people with the disease have abnormal immune systems. Further increasing the need for immune boosting therapies for those with SEID. One panel member, Dr. Lucinda Bateman runs a fatigue specialty clinic in Salt Lake City, she says the new name was purposefully chosen, trying to pack each word with meaning. “The panel chose ‘disease’ rather than ‘disorder’ because ‘its a stronger word’” said Dr. Lucinda Bateman. With the new name for CFS, the hope is to bring more attention to it. Spurring more research and funding targeting Systemic Exertion Intolerance Disease. The first step is getting this new criteria to be common-place across the nation and the world. Helping to accurately diagnose and treat the disease.